Home Hamsters Hamster Food Can Hamsters Eat Bananas? While it is always a joy to see your hamster pal chow down on a yummy treat, not all foods that humans can eat are safe for hamsters. Humans and hamsters are very different. It is extremely important not to assume that your hamster can eat something just because you can. So, can hamsters eat bananas? To answer that question, we’ll have to delve into a hamster’s natural diet, what bananas contain, and whether or not they are a good choice for your furry friend. There are actually a number of different hamster species that are commonly kept as pets. Syrian hamsters, however, are one of the most common. In the wild, Syrian hamsters are omnivores and eat a variety of foods ranging from nuts to roots to bugs. While domesticated, hamsters can live exclusively off commercial hamster food as long as it is nutritionally complete. 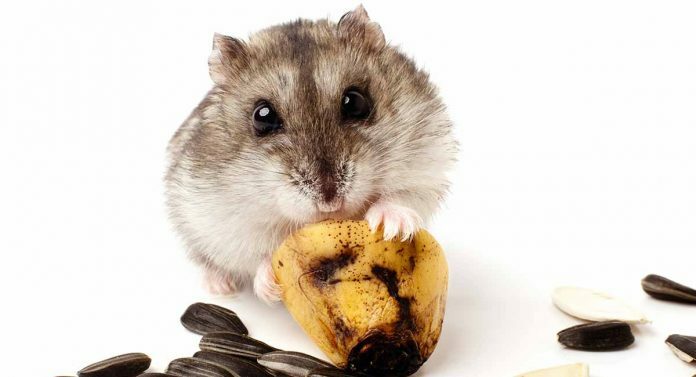 The best diet for a domestic hamster is one that is as close to the wild as possible. However, many owners love to give their hamster vegetables and fruits as treats. Because hamsters are omnivores, this is not necessarily a bad thing. They are designed to eat fruits and vegetables. 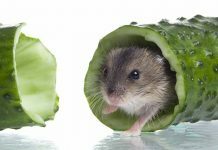 In fact, some vegetables and fruits offer many benefits to your hamster and can help keep their diet appropriately diverse. But what about bananas in particular? Can hamsters eat bananas? To answer this question, we need to explore what bananas have in them. Bananas are a type of large edible berry. Yes, you heard that right. Bananas have been cultivated since at least 5000 B.C.E. and are native to much of Central America. However, bananas quickly caught on when they were discovered and brought to areas in Madagascar, Africa, and Asia. Eventually, they made their way to Europe and the rest of the world. Bananas, like many berries, are high in carbs. They actually contain mostly carbs – 93%, with only 3% fats and 4% protein. They are a good source of fiber, vitamin C, vitamin B6, potassium, and manganese. But what does this mean for our hamsters? Can Syrian Hamsters Eat Bananas? Can Syrian hamsters eat bananas when you consider their contents? As we have seen, bananas contain almost exclusively carbohydrates. One study discovered that hamsters should eat around 62% carbohydrates to be as healthy as possible. Obviously, hamsters should be consuming mostly carbs, which is good news since bananas are almost completely made out of carbohydrates. Hamsters also benefit from many of the nutrients found in bananas. Fiber is also good for hamsters, as it helps their digestion stay regular. But, because hamsters are so tiny, they do not need as much fiber as their human counterparts. Plus, different types of fiber work better for hamsters than others. The fiber found in bananas, according to one study, is not particularly useful for hamsters and does not lead to the health benefits other forms of fiber do. However, this does not mean that it is completely not useful. Fiber is still fiber, even if it works slightly less well than other forms of fiber. Like many rodents, hamsters also require their diet to contain vitamin C.
Hamsters do not store vitamin C, and therefore need to consume it regularly to stay healthy. Hamsters are prone to scurvy, which is simply a vitamin C deficiency. If a hamster does not have enough vitamin C, problems such as reduced clotting and production of collagen can occur. These problems can then intensify into issues with walking, swollen joints, bleeding under the skin, and internal bleeding. As you can see, hamsters require vitamin C even to function normally. Bananas provide this necessary vitamin readily, and therefore fit in very well with a hamster’s nutritional needs. 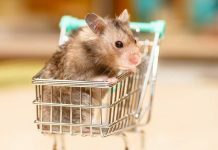 Vitamin B6 deficiency can also be a problem for hamsters. 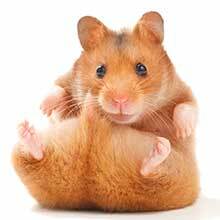 Hamsters do not make their own vitamin B6, which means that they must get it from their food instead. If they do not consume enough of it, they will exhibit an arrest in growth after their stores are depleted in approximately two to three weeks. If the deficiency continues, they will perish within 13 weeks. Hamsters simply cannot function without an appropriate amount of vitamin B6. Fortunately, bananas do have a rich amount of vitamin B6. A medium banana includes about 0.4 mg of B6, making it a good source of this nutrient for hamsters. Can Hamsters Eat A Diet Of Just Bananas ? Since bananas contain so many vitamins that hamsters need, you might be considering giving your hamster large quantities of bananas. While bananas are not poisonous to hamsters and contain many useful vitamins, they do not contain everything a hamster needs to live. A hamster needs a complete, balanced diet in order to live a healthy life. Bananas alone do not provide that. Instead, bananas should only be given as a treat and in very small amounts. While they do contain many useful ingredients, we must remember that hamsters are very tiny. A banana really should be only a snack, which is a very small amount to a hamster. You should treat bananas peels the same way. They can be fed to your hamster, but only in small amounts. Can Dwarf Hamsters Eat Bananas? 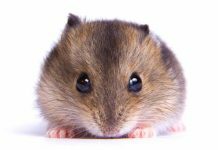 Dwarf hamsters are another common pet. They too can eat bananas and have similar dietary needs to Syrian hamster. But, remember, dwarf hamsters are small, and therefore need less banana than their large cousins. Their portion sizes should be especially tiny. Hamster Eating A Banana – Is It Okay? The answer to “Can hamsters eat bananas?” is yes. As we have seen, your hamster eating a banana is not a problem as long as it is appropriately portioned. Bananas do contain many nutrients that hamsters need, and they fit their diet quite well. However, bananas do not contain everything a hamster needs and need to be given in only small amounts. Musser, G. Hamster. Encyclopedia Britannica. Zeller, F. (2005). Herkunft, Diversitat und Zuchtung der Banane und kultivierter Zitrusarten. Beiheft Nr. 81 zu Journal of Agriculture and Rural Development in the Tropics and Subtropics. Kassel University Press, GmbH. SELF Nutrition Data, Bananas, raw Nutrition Facts and Calories. National Research Council (US) Subcommittee on Laboratory Animal Nutrition (1995). Nutrient Requirements of the Hamster. Nutrient Requirements of Laboratory Animals: Fourth Revised Edition. National Academies Press: Washington, D. C.
Martinez-Flores, H (2004). Effect of high fiber products on blood lipids and lipoproteins in hamsters. Nutrition Research, 24(1). Shwartzman, G. and Strauss, L (1949). Vitamin B6 deficiency in the Syrian hamster: Ten Figures. The Journal of Nutrition, 38(2).